Hormone medications are very potent solutions. Ahis is why there is no way around the necessity for a patient to get a progesterone therapy prescription in order to practice safe and legal treatment. The patient will not only be putting themselves in physical, emotional, mental and/or sexual danger by using injections that are not prescribed for them specifically, but they will also be breaking the law. The US government places strict regulations upon hormone medications for the safety of both patients and hormone replacement therapy clinics. All reputable and honest clinics will follow these regulations and laws. One of the reasons it is so imperative to have the correct medical professionals diagnosing and providing a prescription for progesterone therapy is because several medications may be used for treatment. The doctor must have all medical information on a client in order to put together an accurate treatment plan for positive change. Avoiding negative side effects and allowing the most positive benefits to occur is the number one goal at Greenberg Health. The safety and well being of our patients is top priority. Call the clinic of your choice and speak with an expert clinical advisor. This is the time when you will ask your questions and voice your concerns about therapy. You will learn everything that is involved in the treatment protocol and what you will need to do in order to get a proper progesterone hormone replacement therapy prescription. The advisors will also ask you questions in regards to your symptoms and your goals for therapy. If you decide to continue with therapy and your advisor agrees it is a good choice, you will be sent for medical testing. The advisor will make your appointment for you for your convenience and you will visit a local clinic in your home city. Testing will consist of a blood sampling and you will get a physical exam completed. In order to complete this part of therapy, you will also need to complete a medical history form which you can find conveniently located on our website. 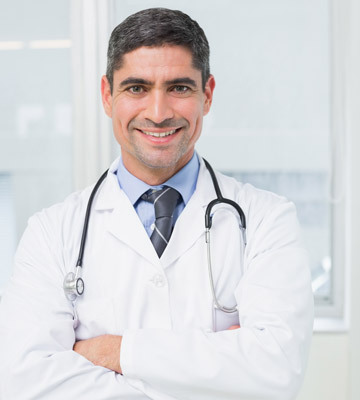 Test results and information from your physical exam and medical history will be sent to our clinic for very close review by our licensed physicians. This is how the doctor will determine whether or not the patient has a progesterone deficiency. They will also discover whether or not a person is in otherwise good health for therapy. Occasionally, symptoms are due to other medical issues other than depleted hormones due to aging. In those cases, patients will not qualify to receive a prescription progesterone hormone therapy. If a patient does qualify to receive our top quality medications, they will be shipped directly to the person’s home or office. We ship everything a patient will need in a very quick and discreet manner. Our clinical advisors are available to help a person with their injections and to also teach them healthy lifestyle habits in order to receive the most positive benefits. In addition, medical supervision will be provided throughout the entire course of therapy by a licensed physician. As patients are monitored throughout treatment, this will lessen the possibility of any negative side effects occurring. Patients must take on the responsibility of following their uniquely created treatment plan and living a healthy life. They must keep in touch with their clinical advisor and maintain their medical supervision.